If you’re looking to cool down with some deliciously cold drinks, there’s a few different ways of making the perfect smoothie, slushie, or cocktail at home. These days, there’s an appliance for just about everything. So if you’re looking to craft some deliciously cold homemade slushies, smoothies, or cocktails – then you’ve got a whole bunch of options. The best of which are included in this quick guide. Looking for a quick summary? 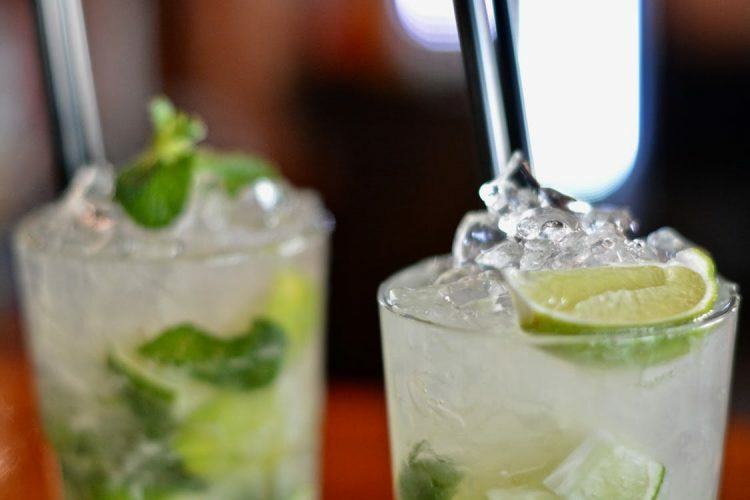 We’ve listed the best options for transforming ice into delicious drinks below. 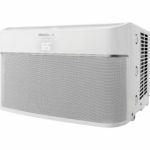 Each one links to a separate post where we go over the best models for each type of appliance. If you’re not sure which would suit you, don’t worry. 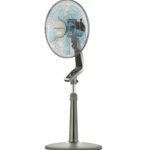 Keep reading and we’ll discuss each type of appliance in a bit more detail, or clink each link to see the best models of each appliance type. or go truly authentic with blocks of ice and a good knife..
And, of course, where would we be without ice makers. If you don’t have one at home, picking up a countertop or stand-alone ice maker will save you from running to the store and praying that there’s bags of ice left when those sudden heatwaves hit town. Countertop ice makers are easy to set up and super convenient, while stand-alone ice makers plug right into your water system, and produce incredible restaurant-quality ice. There’s subtle differences between what you’ll get from a shaved ice machine compared to a snow cone maker. Generally, shaved ice is a touch finer and softer – aiming to be almost like snow. As well as eating it with syrup, shaved ice can be a great finishing touch to a good cocktail or dessert. Snow cone ice tends to be crunchier and a touch larger, traditionally giving you something to chew on at the pitch side of a sports game. While shaved ice machines can also make great snow cones, a dedicated snow cone maker typically makes it much easier for you to fill a cup or cone quickly. Here’s a great video explaining the differences – from MyRecipes. Check out the best Snow Cone Makers or Shaved Ice Machines. As the name suggests, these blenders are powerful enough to crush ice without suffering from wear and tear. These are fantastic appliances for their wide variety of uses in the kitchen, especially being able to quickly put together an amazing smoothie or slushie. Before you quickly go and chuck ice in any old blender however, make sure to double check if it can handle the task. Most modern blenders with high-powered motors and quality blades are capable, but the select few we outlined in our appliance review are purpose-built with the task in mind. They boast extra features like pre-programmed pulse timings and impact-resistant containers. 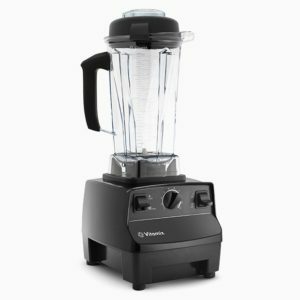 Vitamix’s 5200 Ice Crushing Blender – one of the best on the market. Separate to the other appliances that crush, shave, or grind down ice on this list – iced tea makers simply provide you with an effortless way to brew classically delicious iced tea at home. Place in some tea bags, admire as it’s filtered straight into a large jug which you’ve pre-filled with plenty of ice, and that’s all there is to it. While these are normally sold as an electric appliance, the Takeya ‘flash-chill’ iced tea maker (pictured below) really impressed us. Takeya have made a fantastically simple way to make iced tea – to the point where you wonder why anyone ever used an electric iced tea maker in the first place. 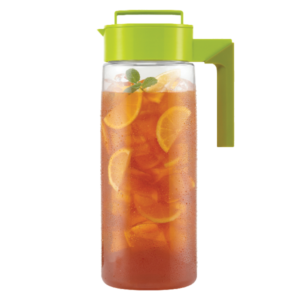 Our full review is in our iced tea makers post. The Takeya Flash Chill Iced Tea Maker – no electric parts needed. Get your hands dirty cold.. If you’re really wondering whether you need one of the above appliances – the honest answer is.. no, not really. 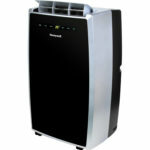 What they do offer are convenience, ease of use, and generally an upgrade in quality – but they’re far from necessary. Sometimes, freezing a block of ice and chunking it down with a good knife is more than enough to give you that authentic feel as you impress friends and share out the pieces of ice. If that sounds like fun (and it is! ), the only trick is to get your ice block to be completely clear. If it’s foggy, it does take away the ‘mystique’ if you’re going to be serving up ice for other people. Make sure to check out our guide on making clear ice at home (coming soon), to keep things looking classy. Since there are people out there who still rely on grocery store ice to keep cool, here’s a quick shout-out to ice makers. If you don’t have an ice-producing fridge in your kitchen, but do love a cold drink, we’d can’t recommend picking one up enough. Countertop ice makers can provide more than enough ice to keep you and friends topped up throughout the day. They typically make quick ‘bullet-ice’, freezing the water as it hangs from a point before dropping it out for use. They’re cheap, easy to use, and easy to move around – even if you want to have it outside with you. No plumbing needed; just keep it topped up with water, and it will keep you topped up with ice. 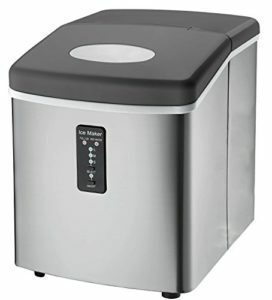 One of our top countertop ice makers – the ThinkGizmos TG-22. However, even if you do have a fridge that produces ice, a true ice fanatic will know that it’s not of the same quality of restaurant level ice. And that’s where stand-alone ice makers come in. 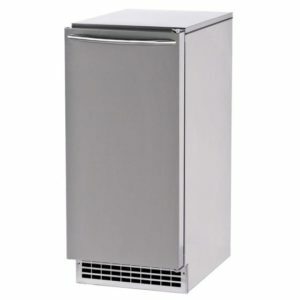 Our top stand alone ice maker, the Scotsman CU50GA. Capable of producing crystal clear, odorless, tasteless, and crisp ice, undercounter ice makers are the only way to ensure you’re serving up absolutely top-notch drinks. These appliances aren’t limited to bullet-ice, either. Producing more unique shapes like cubed, crescent, or even ‘gourmet’ styles like the image below, these kinds of ice do much more than keep your drink cool. They really do take it to another level. 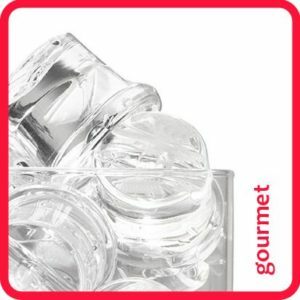 The gourmet ‘top-hat’ ice cubes from our top stand alone ice maker. We hope you’ve enjoyed this quick guide to the appliances that can make summer life just that much easier. If you’ve got any comments or feedback, we’d love to (really!) hear them in the comments below.